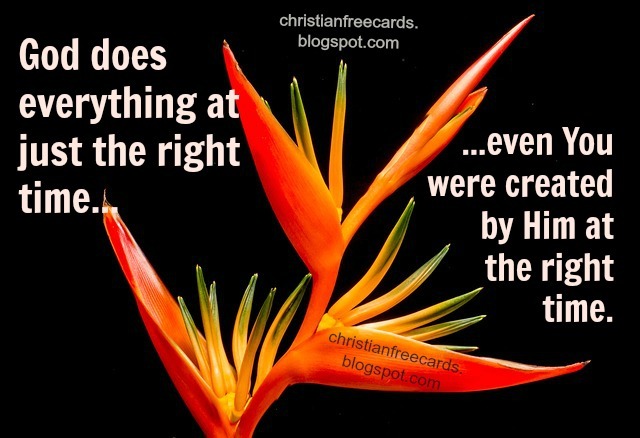 even you were created by Him at the right time. and with those details that do not give you much joy. you are a master piece of his hands. You are a valuable person. we will not have another person like you. Free Christian Card God bless you. Nice day.